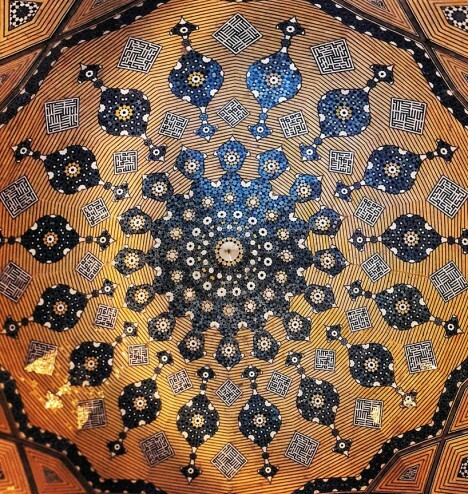 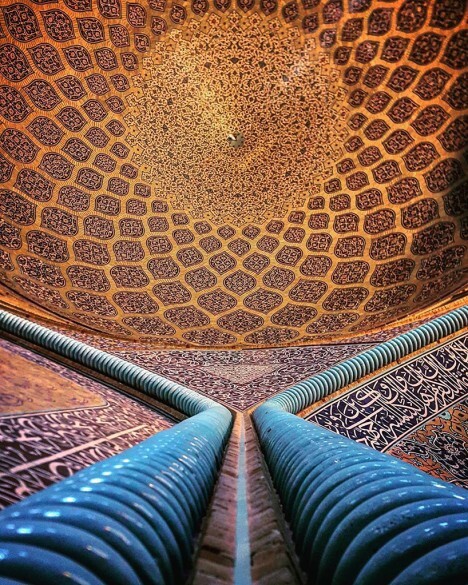 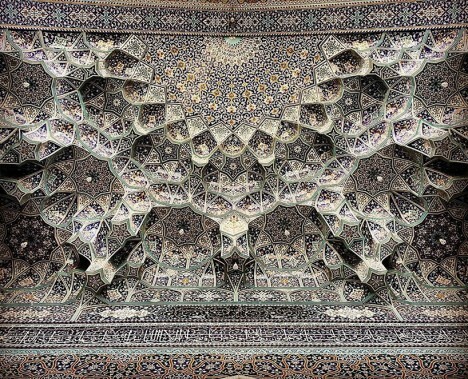 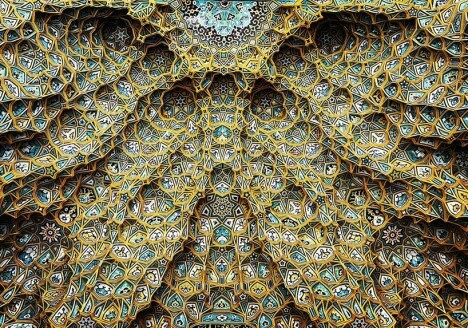 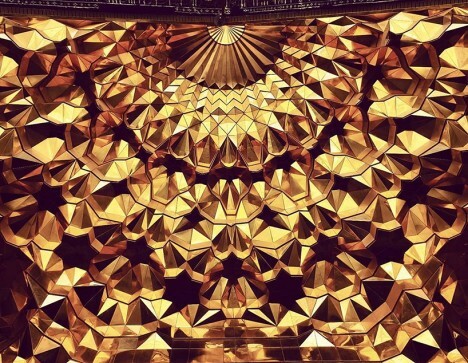 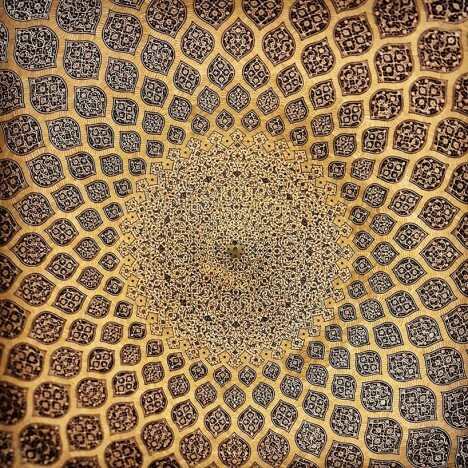 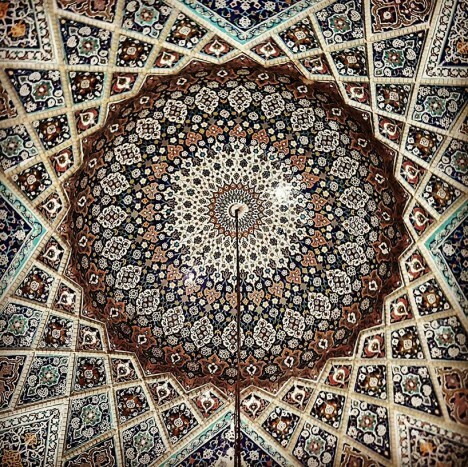 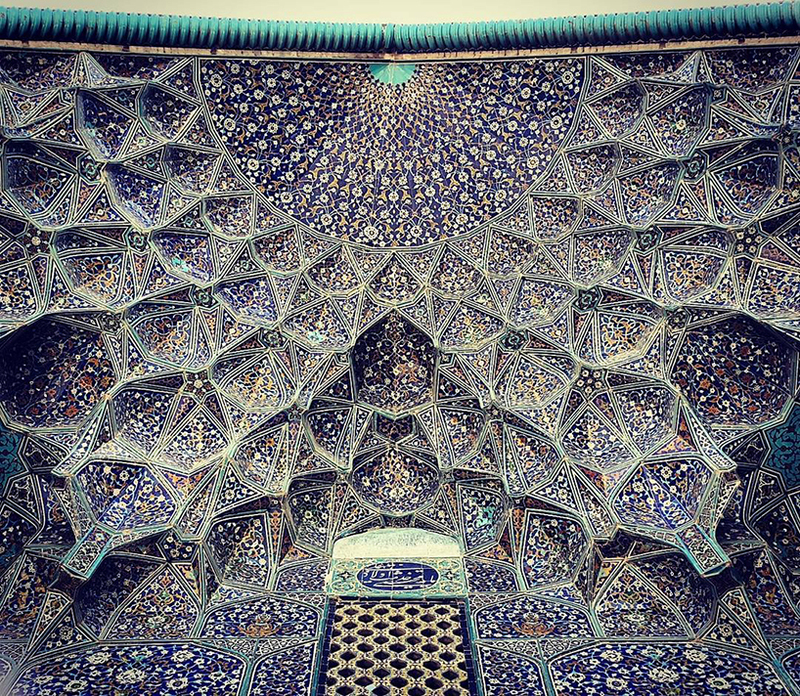 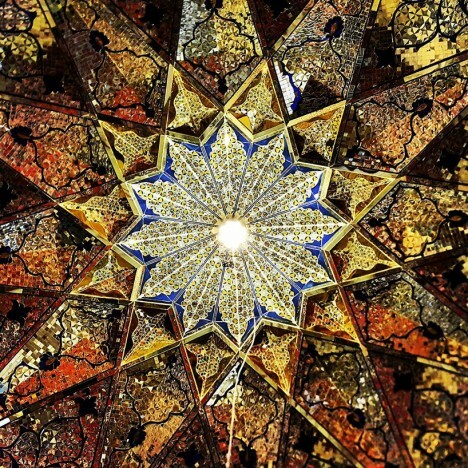 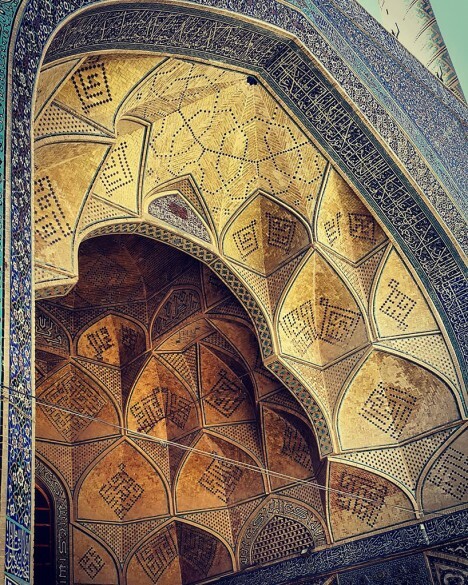 Sharing his findings via Instagram, an architectural photographer in Iran has begun documenting schools, mosques and cultural centers around the country, with a focus on their most mesmerizing feature: the ceilings. 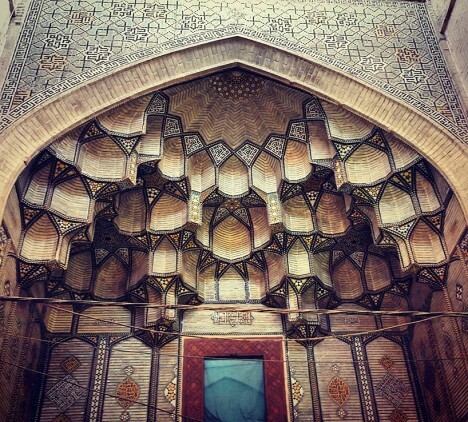 Mehrdad takes viewers on tours of significant cultural complexes, some of which have been standing for close to 1,000 years as part of one of the world’s oldest civilizations. 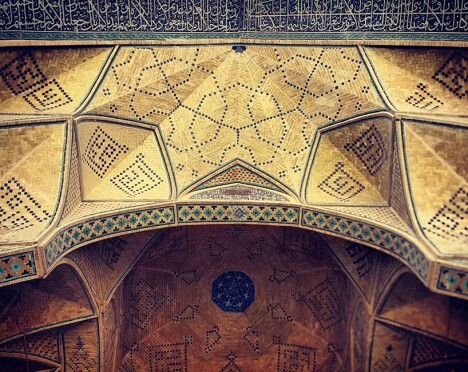 Modestly-decorated and architecturally-muted facades often give way to incredible complex mural works, colorfully-patterned reliefs and mosaics that must be meticulously maintained. 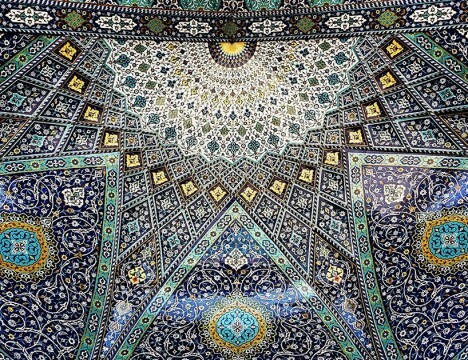 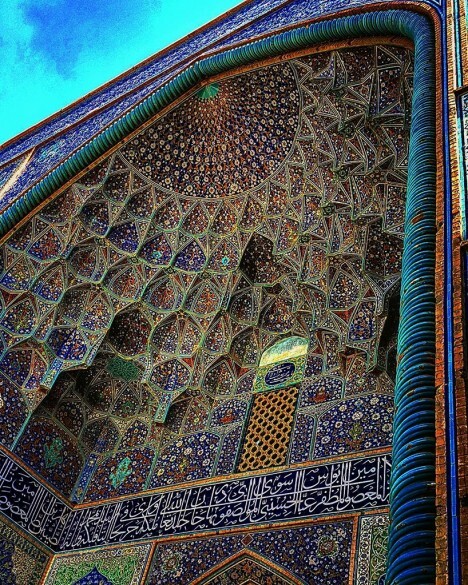 Buildings pictured here include the Hazrat-Masoumeh mosque in Qom, the Chaharbagh School in Isfahan and the Shah-e-Cheragh mosque in Shiraz.